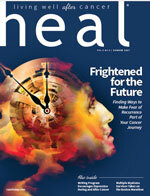 An FDA approval in small cell lung cancer, a partial clinical hold on multiple myeloma trials, an addition to the NCCN guidelines in colorectal cancer, a review period extended in myeloma, an application withdrawn in chemotherapy-induced neutropenia, and a European approval in lung cancer. 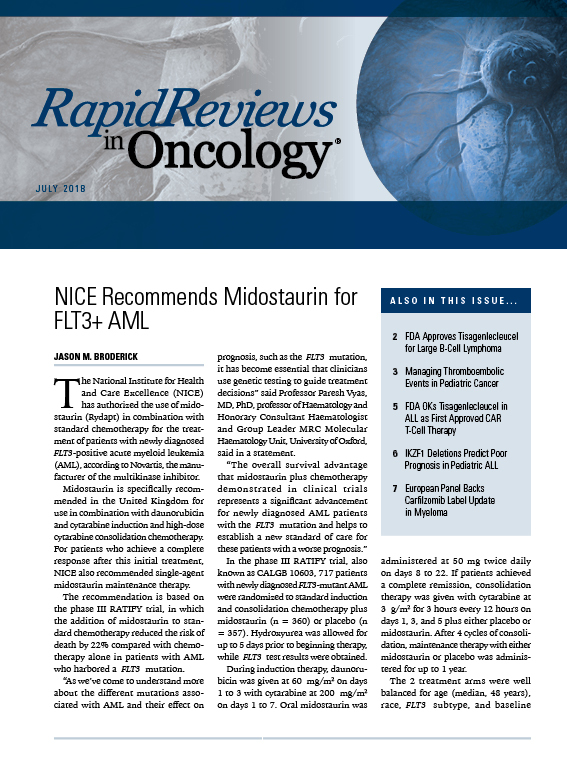 The FDA has approved the combination of atezolizumab with carboplatin and etoposide for the frontline treatment of patients with extensive-stage small cell lung cancer. 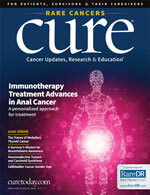 The decision is based on data from the phase III IMpower133 study, in which the atezolizumab regimen led to a significant improvement in overall survival in this patient population. Results of the international trial showed that after a median follow-up of 13.9 months, the median OS in IMpower133 was 12.3 months in the atezolizumab arm compared with 10.3 months in the carboplatin/etoposide and placebo arm, translating to a 30% reduction in the risk of death. Moreover, the median progression-free survival was 5.2 months in the atezolizumab arm versus 4.3 months in the placebo group. The 6-month PFS rate was higher with atezolizumab, and there was more than a doubling of the 12-month PFS rate versus placebo. 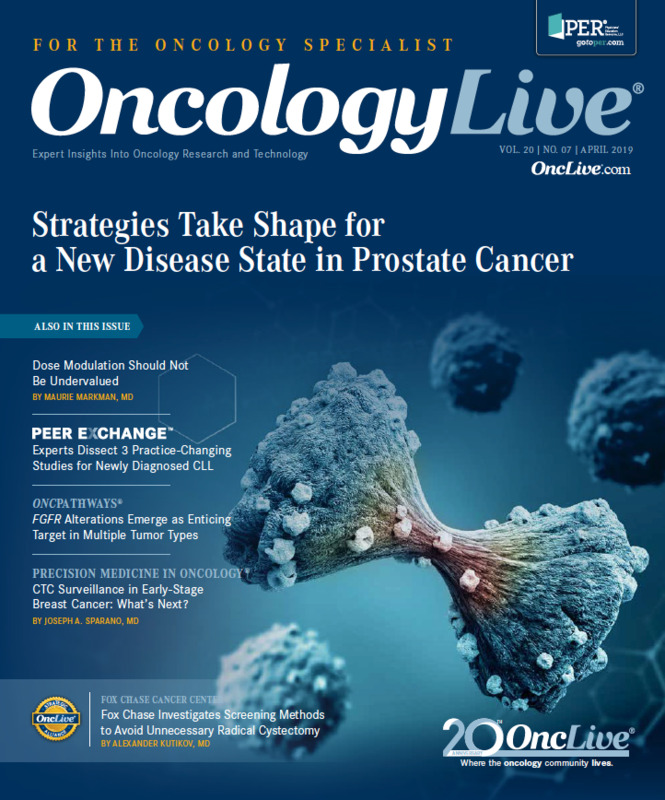 The PD-L1 inhibitor also demonstrated superior 6-month and 12-month event-free survival rates. In multiple myeloma, the FDA placed a partial clinical hold on all trials examining venetoclax in multiple myeloma, which halted enrollment of new patients on the studies. The partial hold is based on safety findings from the ongoing phase III BELLINI trial, which showed a higher rate of patient deaths with venetoclax combined with bortezomib and dexamethasone versus placebo plus bortezomib and dexamethasone in patients with relapsed/refractory disease. The rate of deaths was 21.1% in the venetoclax arm compared with 11.3% with placebo. Additionally, 6.7% compared with 1.0% of the deaths were treatment emergent in the 2 arms, respectively. 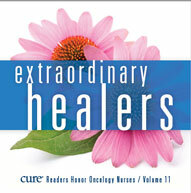 Eight of the 13 treatment-emergent deaths in the venetoclax arm were attributed to infection. In the venetoclax arm, common causes of death other than disease progression were sepsis, pneumonia, and cardiac arrest. 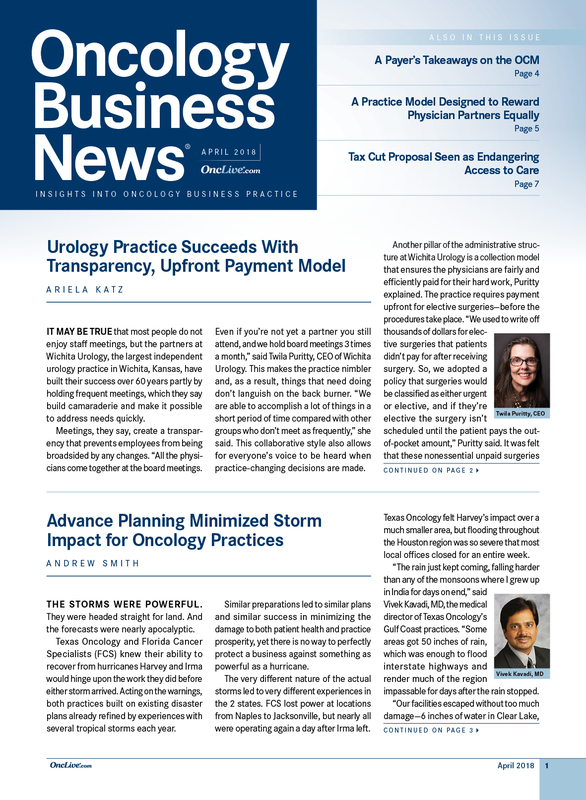 Although new enrollment on venetoclax myeloma trials is on hold, previously enrolled patients benefiting from the therapy may continue on the trials after consulting with their physicians. 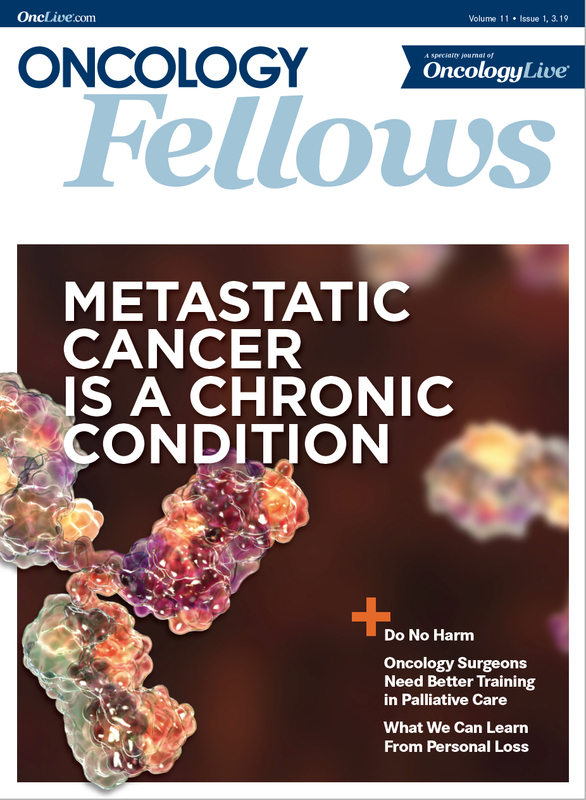 The NCCN has updated their clinical practice guidelines for the treatment of patients with colorectal cancer to include the regimen of encorafenib and binimetinib plus EGFR inhibition with either cetuximab or panitumumab as a Category 2a treatment recommendation for patients with BRAF V600E–mutant metastatic colorectal cancer, following failure of 1 or 2 lines of therapy for metastatic disease. 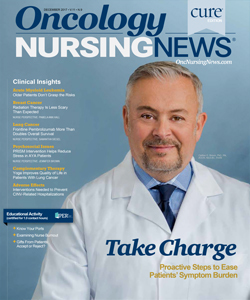 The NCCN based its recommendation on findings from the BEACON CRC trial, which showed that clinical outcomes with encorafenib, binimetinib, and cetuximab exceeded historic data in patients with BRAF V600E-mutant metastatic CRC. 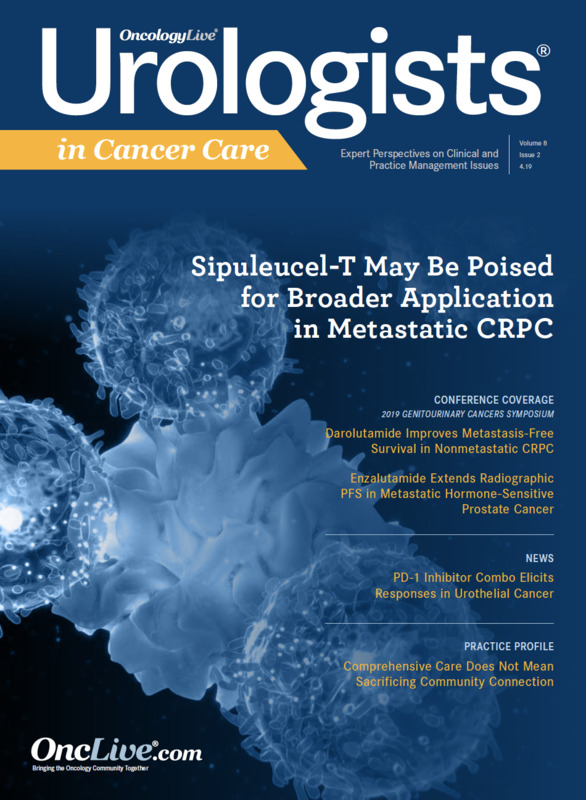 Safety lead-in results from the trial, which enrolled 30 patients, showed an estimated median progression-free survival of 8.0 months and an estimated median overall survival of 15.3 months with a median duration of follow-up of 18.2 months. Moreover, the overall response rate was 48% by local assessment, with 3 patients achieving a complete response. In multiple myeloma, the FDA has added 3 months to the review period for a new drug application for selinexor for the treatment of patients with penta-refractory multiple myeloma. The new action date is now July 6, 2019. 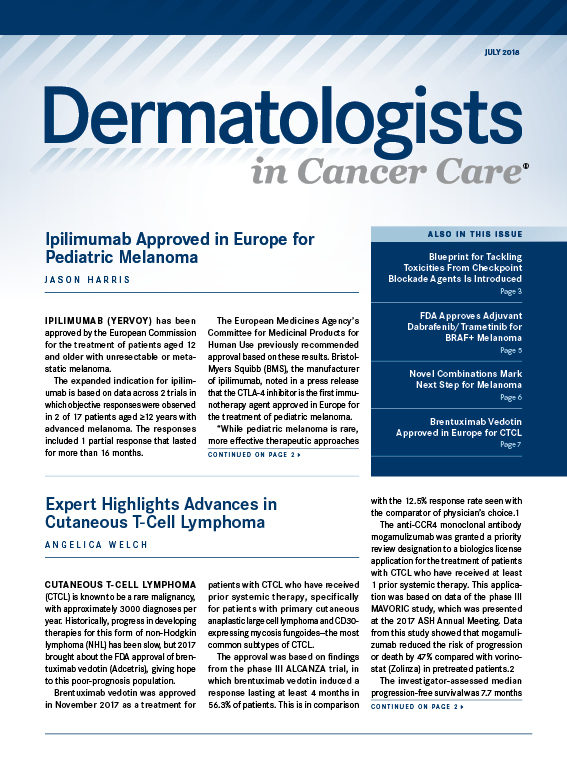 Karyopharm Therapeutics, the manufacturer of selinexor, submitted the application for an accelerated approval of selinexor for patients with myeloma who have received 3 or more prior lines of therapy and whose disease is refractory to at least 1 proteasome inhibitor, 1 immunomodulatory agent, and 1 CD38-targeted antibody, and to their most recent treatment. The original action date had been set for April 6, 2019. 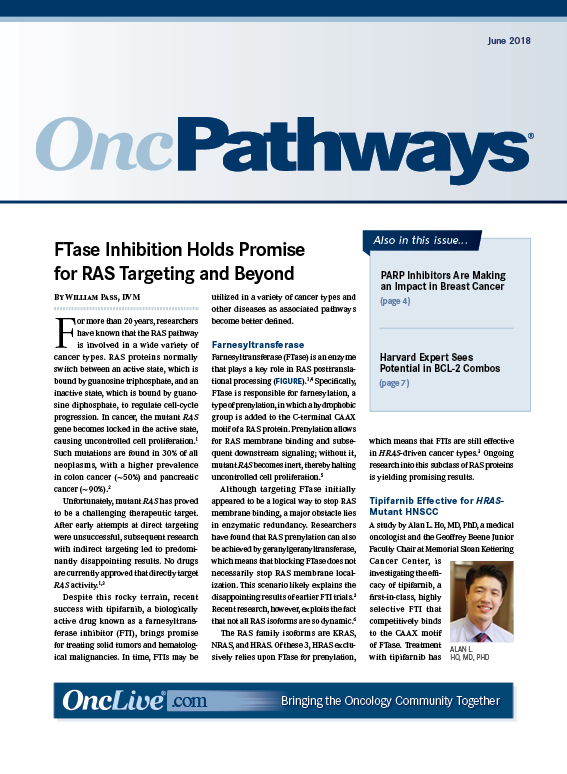 However, the FDA’s Oncologic Drugs Advisory Committee voted 8 to 5 against accelerated approval of the NDA in February, recommending delaying a decision on the drug until data become available from the phase III BOSTON study. The FDA then requested further information from the company as an amendment to the NDA. The NDA is based on part 2 of the phase IIb STORM study, which showed that the combination of selinexor and dexamethasone was associated with a 26.2% overall response rate and an 8.6-month median overall survival. However, ODAC panel members cited concerns that the study was a single-arm combination trial and a prior phase I study did not demonstrate strong single-agent activity. Moreover, there was significant toxicity with selinexor in the STORM trial, including treatment-emergent adverse events, serious adverse events, and TEAEs that resulted in patient deaths. Spectrum Pharmaceuticals has voluntarily withdrawn its biologics license application for eflapegrastim, due to the company needing more time to complete the FDA’s request for additional manufacturing-related information. The company stated that it plans to resubmit a BLA as soon as possible. In its request, the FDA did not mention concerns related to preclinical and clinical modules of the application, or the requirement for further clinical trials. The application was submitted to the FDA in December 2018. Eflapegrastim is being evaluated as a novel agent for the management of chemotherapy-induced neutropenia in patients undergoing myelosuppressive chemotherapy. 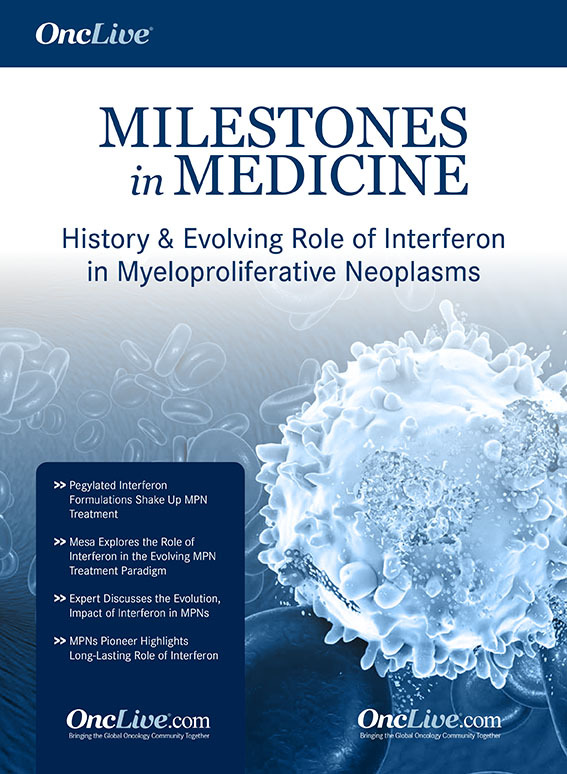 The application is based on findings from the phase III ADVANCE and RECOVER trials, which showed that eflapegrastim was noninferior to pegfilgrastim in terms of absolute risk reduction of severe neutropenia, in patients with early-stage breast cancer who experienced neutropenia due to myelosuppressive cytotoxic chemotherapy. In ADVANCE, results showed that the mean duration of severe neutropenia was 0.19 days for eflapegrastim and 0.34 days for pegfilgrastim, demonstrating noninferiority. Additionally, noninferiority of eflapegrastim for the duration of severe neutropenia was maintained across all 4 cycles. In RECOVER, results showed that the mean DSN was 0.31 days for eflapegrastim compared with 0.39 days for those who received pegfilgrastim, reaching the threshold for noninferiority. Also, in this study, noninferiority of eflapegrastim for DSN was maintained across all 4 cycles. In non–small cell lung cancer, the European Commission has approved pembrolizumab in combination with carboplatin and either paclitaxel or nab-paclitaxel for the frontline treatment of patients with metastatic squamous disease. The approval is based on data from the phase III KEYNOTE-407 trial, in which pembrolizumab plus chemotherapy demonstrated a 36% reduction in the risk of death versus chemotherapy alone, regardless of PD-L1 expression. Results also showed that the combination of pembrolizumab with carboplatin and either paclitaxel or nab-paclitaxel significantly improved progression-free survival, leading to a 44% reduction in the risk of progression or death versus chemotherapy alone. 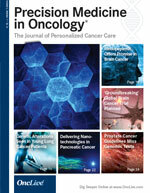 Among those who received the pembrolizumab regimen, the ORR was 58% compared with 38% for patients who were treated with chemotherapy alone. Additionally, the median DOR was 7.7 months for patients on the pembrolizumab arm versus 4.8 months for those who received chemotherapy alone. This week, we sat down with Dr Steven Treon, of Dana-Farber Cancer Institute, to discuss defining Waldenstrom macroglobulinemia.